I recently took a trip to Target in search of something to brighten my dining and living room. 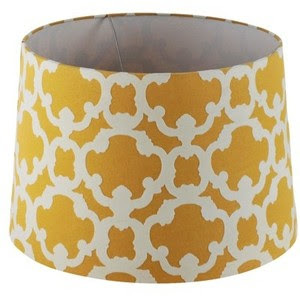 I saw this lampshade and fell in love with the pop of color and the design. However, I don't need lampshades nor do I even have lamps to put them on! Just so happens this beautiful design comes in so many things, napkins, tablecloths, place mats, etc... So I bought some napkins I just couldn't resist and I absolutely LOVE them! I went home immediately and put them out on the table. I mixed mine with green napkins and it ties my dining room together a bit more. One room down and I still wanted something for the living room. I got to thinking why not use one of the products in this design to make pillow cases. I laid one of the napkins out and it just so happened to fit perfectly with a size pillow I already had. Sold! I went back to Target picked up one more set of napkins (sold in a pack of 4 for $9.99) sewed two napkins together and stuffed the pillow I already had inside. Now I have two custom covered pillows for only $9.99 and I absolutely love them. They tie in great with my curtains and still add that pop of color I was looking for in the living room. Hey thanks Elisabeth, I just love this design and you should totally copy what an easy and cheap way to reuse pillows you already have. Hi! 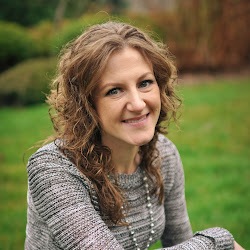 I'm Toni, creator behind AK Party Studio. Join me in celebrating all of life's parties and celebrations! Copyright AK Party Studio. Blog Design by QDONOW Themes.